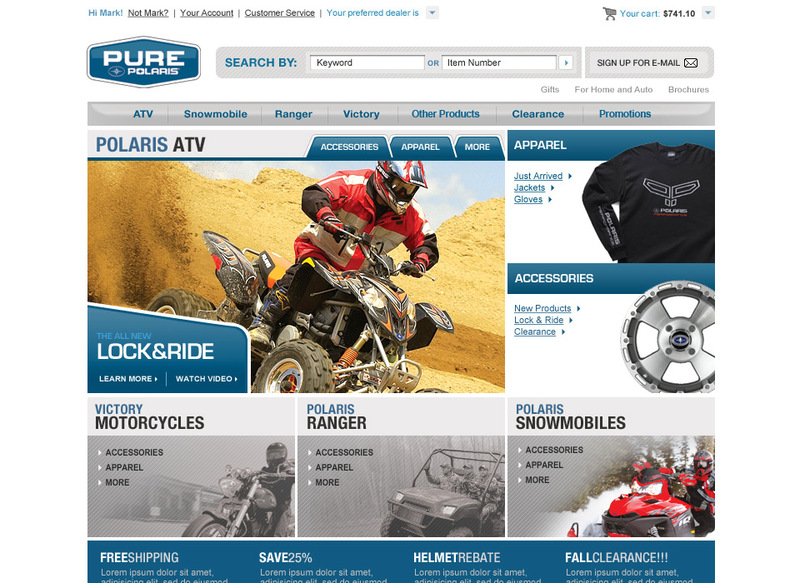 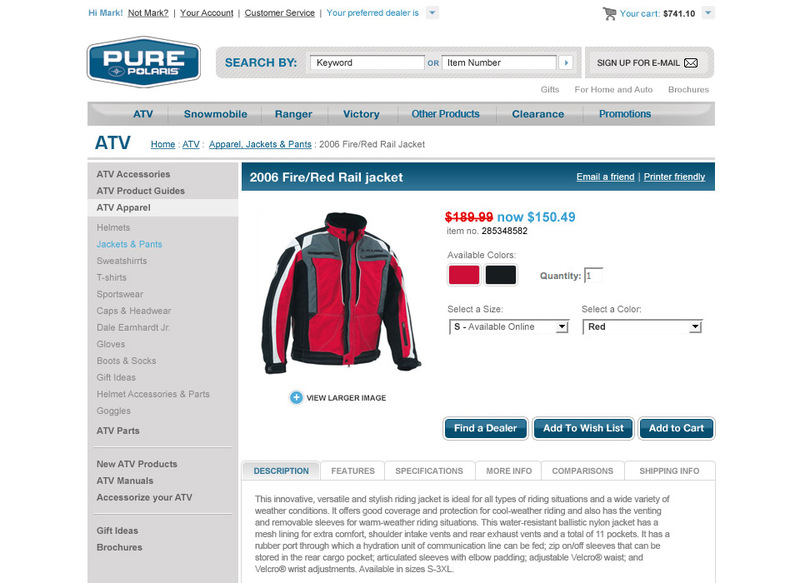 Pure Polaris is the official parts and accessories website of Polaris Industry. 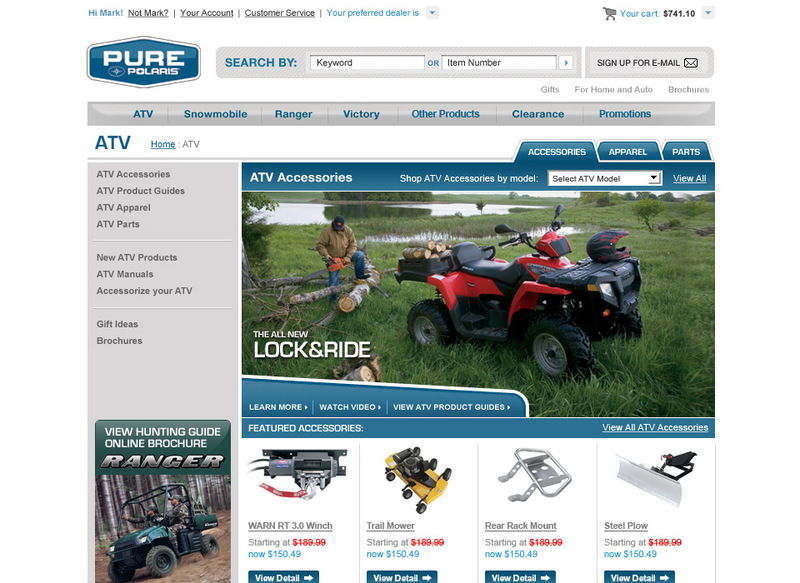 We were invited to redesign the website and give it a fresh look & feel. 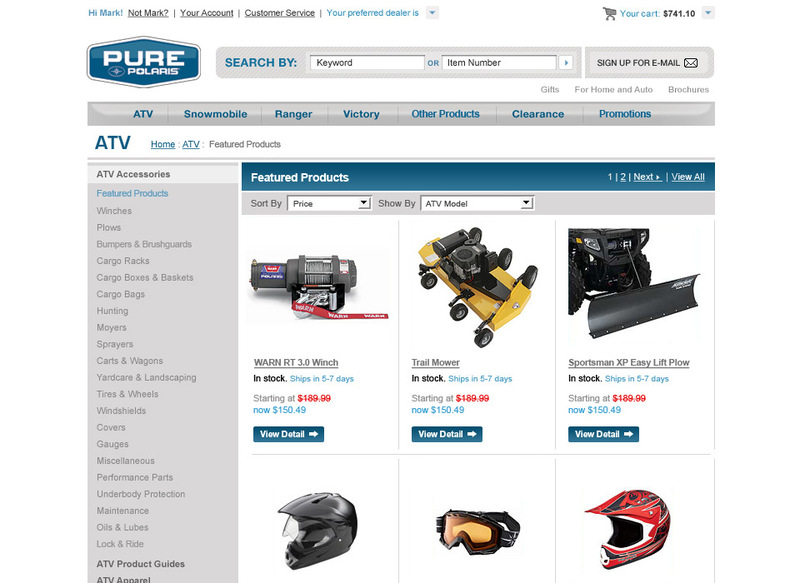 On the website, consumers were able to view and purchase products for Victory and Indian motorcycles, as well as Polaris snowmobiles, ATVs, and Ranger vehicles. 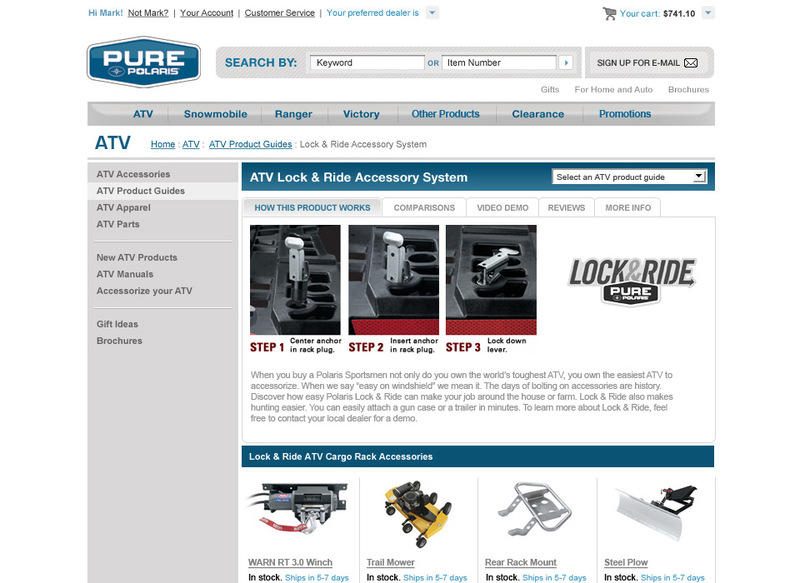 We partnered with Polaris Industries in-house development team to implement the design.